In 1994, Ray Anderson felt a 'spear in the chest': he realised that his company, billion-dollar carpeting manufacturer Interface, Inc, was plundering the environment with its unsustainable business practices, and that it desperately needed to change direction. Under his leadership, Interface went on to set unprecedented targets for cutting waste, instigated revolutionary recycling initiatives, and encouraged employees at every level of the company to contribute ideas on how to save resources. As a result, the company's greenhouse gas emissions decreased by 82% and are on target to reach zero level by 2020. Not only that, these changes also brought down costs, improved quality, and increased profits. 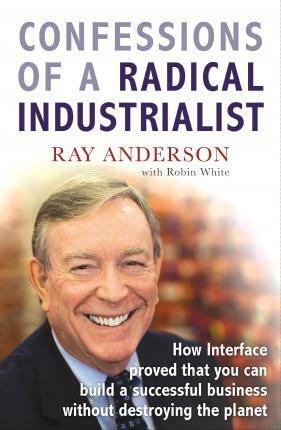 In Confessions of a Radical Industrialist, Ray Anderson shares the remarkable story of how Interface turned itself around, and proves that running your company sustainably isn't radical at all - it's just good business.